Do you know someone who would love Mintage Rentals? What a great way to give to friends and loved ones. Maybe you know someone getting married and they have been gushing over how they would want to incorporate a lounge, mobile bar or backdrop for their big day. Or how about gifting a backdrop or a pretty sofa for that family photo you’ve been asking for from loved ones. 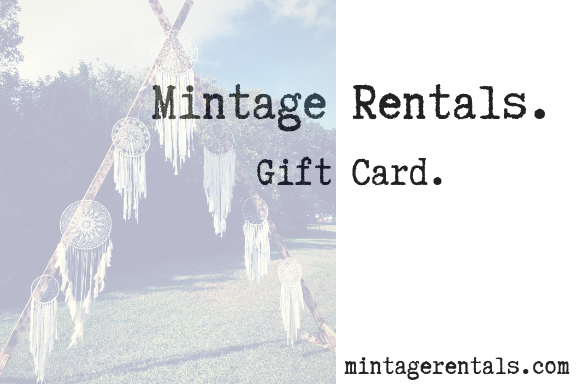 Gift cards are available all year long because there is always a good time or season to incorporate some of our gorgeous inventory into events year round.